Formal legal investigation opened into Jean-Luc Mélenchon and La France insoumise’s finances. Mélenchon Faces the Law of the Republic. 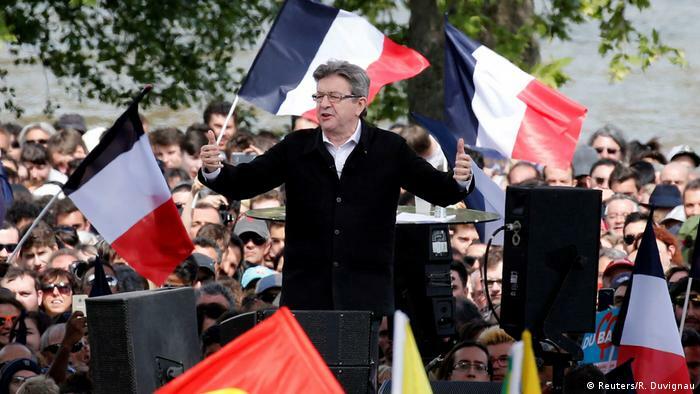 Two inquiries have been launched into the campaign accounts of Jean-Luc Mélenchon for the 2017 presidential election and the assistants of his rally La France insoumise’s MEPs. They have been entrusted to investigating judges by the Paris prosecutor’s office, according to a statement issued on Friday 9 November . Two judicial information was thus opened against X. The first, relating to the financing of the campaign , mainly for “fraud” and “breach of trust” , while the second, concerning the parliamentary assistants, was opened for “misappropriation of public funds “ . Jean-Luc Mélenchon and his party are therefore targeted by two separate investigations. The first concerns the accounts of the campaign of Jean-Luc Mélenchon for the presidential election of 2017 where the fraud is alleged to occurred. These are extremely serious and range from money-laundering to pure and simple swindling. – abus de confiance et recel. – tenue non conforme des comptes de campagne. The second concerns Jean-Luc Mélenchon’s parliamentary assistants in the European Parliament. The suspicion is that he and his rally employed parliamentary assistants in the European Parliament to work for themselves outside of their European tasks. This ultimately amounts to diverting money from Parliament by creating fictitious jobs. Other MEPs and former MEPs are involved in the investigations into the use of European Parliamentary assistants for domestic party work, such as Brice Hortefeux and Michèle Alliot-Marie (the right of centre, Les Républicains), Edouard Martin (elected on the Socialist Party’s list, now in Génération.s , of Benoît Hamon) or Yannick. Jadot (Europe Ecology-The Greens, Europe Ecologie-Les Verts EELV). Sur Twitter, le leader de La France insoumise s’est félicité que l’enquête soit menée par des juges d’instruction indépendants. « French President Macron Backs Down on Plan to Honour Pétain at Commemorative Ceremony. Watching President Trump’s altercation with Jim Acosta of CNN brought back memories of a SWP (Socialist Worker’s Party) recruitment* meeting we attended in the local library. (the TV must have been really rubbish that evening 🙂 ) At the end there was a ‘question and answer’ session with Alex Callinicos (the head honcho of the SWP). Unfortunately, someone stood up and asked the ‘wrong’ question. Callinicos didn’t say a word, he motioned to his heavies and in a flash Callinico’s heavies moved in. They grabbed this man by both shoulders and man-handled him out of the room. We have never seen anyone leave a room so fast. His feet did not touch the ground. Jim Acosta would have never got away with what he got away with Alex Callinicos what he got away with Trump. We don’t reckon on his chances with Putin, the Crown Prince of Saudi Arabia or Kim Jong-Un for that matter. Don’t know it this says anything about the degree of tolerance and respect vis a vis ‘left’ and ‘right’ wing politics. It certainly says a lot about the SWP though. *If you ever go to one of these meeting they past round a clip-board with a form asking for your name, address and phone number. We gave false details. We are sure that the ‘comrade’ sat next to us who was observing us sussed this out . Never seen so many dodgy characters. The whole meeting had a stench of fear; an air of intimidation, suspicion and foreboding and and all pervasive threat of violence hanging over it. Callinico’s word was Gospel and woe betide anyone who questioned it. To be fair, Alex Callinicos is a small, fragile-looking man. You can’t blame him for having ‘heavies’. How else is he going to quell dissent?